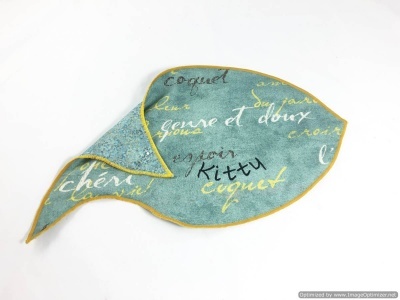 Dress up your kitchen with this Custom Home Décor Fish Feeding Mat—personalized for your cat(s). 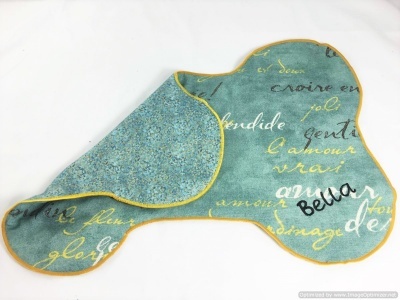 Reversible 2-in-1 mat. The NAME side is home décor fabric in a muted blue French script with gold, wood tone and cream accents. When it’s time to change up your décor, flip it over to the festive side for Blue Vines with Metallic. The underside is sophisticated and festive for the holidays, rather than being too overwhelming. Personalize it with a name or order it blank. Dress up your dining area or kitchen with this Custom Home Décor Dog Bone Feeding Mat—personalized for your pet(s). It’s reversible so you get two (2) mats in one. The front side is home décor fabric in a muted blue French script with gold, wood tone and cream accents and the back side shows festive blue and metallic vines for the holidays. The decorative gold border really makes the bone stand out on a wood or tile floor. PERSONALIZE IT with your pet name(s)! The first name is FREE. Choose from 3 sizes! 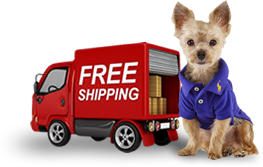 For bowls and feeding stations, too! 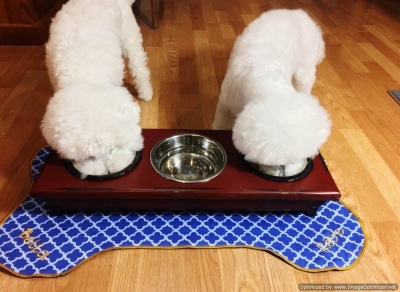 Dress up your dining area or kitchen with this Custom Home Décor Geometric Dog Bone Feeding Mat—personalized for your pet(s). It’s reversible so you get two (2) mats in one. The front side is cobalt blue geometric pattern and the back side shows dark blue on lime green Halloween bats. The decorative gold border stands out on a wood or tile floor. PERSONALIZE IT with your pet name(s)! The first name is FREE. Choose from 3 sizes! Dress up your kitchen with this Custom Home Décor Fish Feeding Mat—personalized for your cat(s). Reversible 2-in-1 mat. Add your cat’s name FREE! Display the Dark Rose Pink Quatrefoil or change up your décor, by displaying the rose pink winter snowmen. Constructed of premium home décor, quilter’s cotton with decorative border, it’s durable and can absorb spills. This pretty mat decorates your kitchen or dining area with style. Washable in cold water. 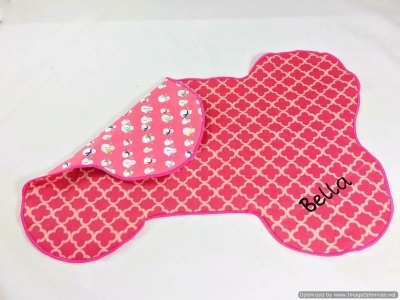 Dress up your dining area or kitchen with this Custom Home Décor Dog Bone Feeding Mat—personalized for your pet(s). It’s reversible so you get two (2) mats in one. 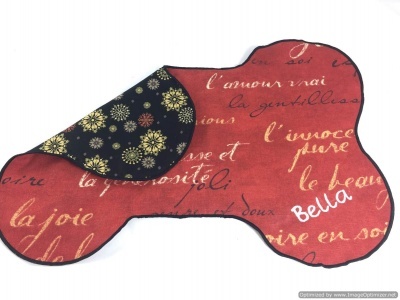 The front side is rust French script home décor fabric with dark muted red, gold, black and cream accents. When you want to change up your décor, simply flip it over to display the festive side of rust, gold and khaki and medallions. The festive side is a classy holiday look, rather than being too overwhelming. The professional black border really makes the bone stand out on a wood or tile floor. PERSONALIZE IT with your pet name(s)! 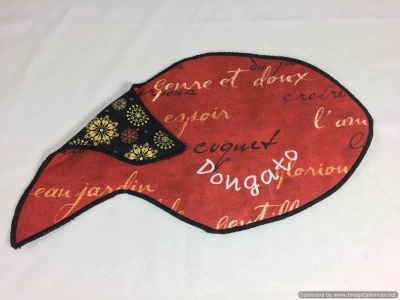 Dress up your kitchen with this Custom Home Décor Fish Feeding Mat or Rug—personalized for your cat(s). Reversible 2-in-1 mat. The NAME side is home décor fabric in a muted rust French script with gold, charcoal and cream accents. When it’s time to change up your décor, flip it over to the festive side for Medallions. The underside is sophisticated and festive for the holidays, rather than being too overwhelming. 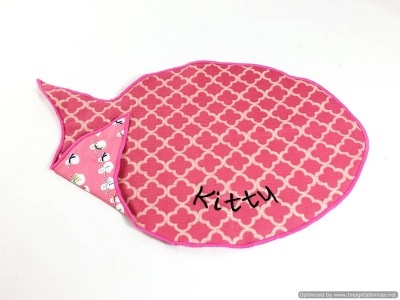 PERSONALIZE IT with your cat’s name!